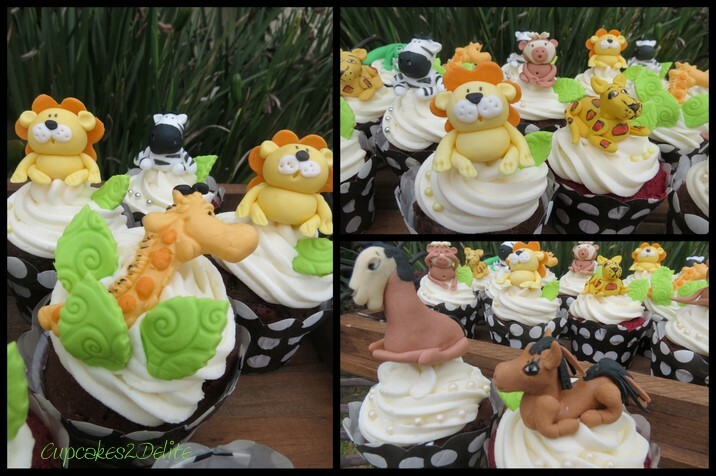 Walk on the Wild Side Cupcakes! 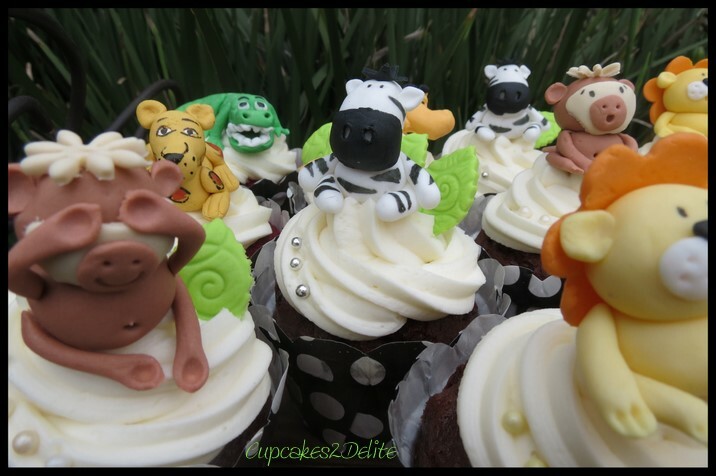 These 3 delightful characters and all their ‘Wild’ mates were hand crafted by Paige for this Walk on the Wild Side cupcake order. Jenny had tasted the cupcakes I made for Tracy’s book club evening and she had seen Paige’s Naughty Monkeys on my blog and she wanted to have the same characters on the cupcakes for her daughter’s 21st birthday party. I have to admit that I had a little giggle at her email request of monkeys, lions and zebras with a horse and a llama thrown in too as I thought where will I source these characters (especially a llama)? Luckily Paige agreed to help me with the animals and these miniature sugar art marvels look so proud of themselves sitting on their cupcakes. I sourced the leopards, crocodiles and horses from Kadies in Fourways and I made a couple of giraffe heads popping out from their green embossed sugar paste leaves to complete the order and then photographed them on the beautiful wooden tray that Tanya gave me for my birthday. Thanks again Paige for your care and attention to character in these gorgeous animals and thank you Jenny for such a fun and challenging order for your daughter’s special day. I am so delighted that everyone enjoyed the cupcakes and had as much fun admiring these little creatures as I did. Finally love the llama Paige! They looked so effective – a real “zany zoo” . I love the giraffe you made and I’m sure they tasted delicious as per usual! 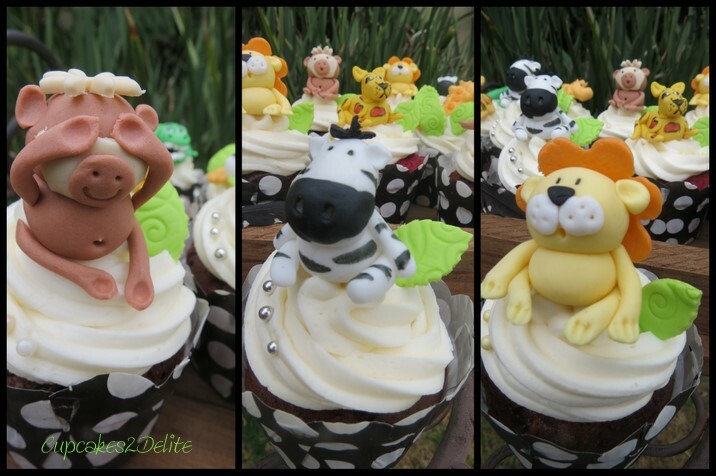 Thanks Tracy, Zany Zoo is the perfect description for these cupcakes! Really, really lovely and I have to congratulate Paige, so talented! Those lions are too gorgeous – well done! Thanks Michelle, you can only but love the naughty lions with the great character Paige captured in them!